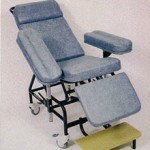 The Phlebotomy Treatment Chair is designed primarily for use in venepuncture clinics and out-patient departments for minor procedures. 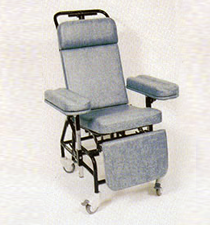 The backrest may be reclined incrementally by the operative to the horizontal position, with automatic profiling of the seat and leg rest. 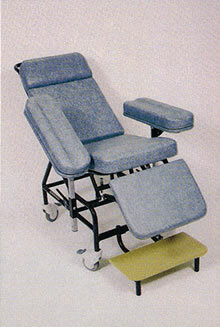 Positioning is achieved in one easy action from the rear of the chair and is horizontal in seconds. 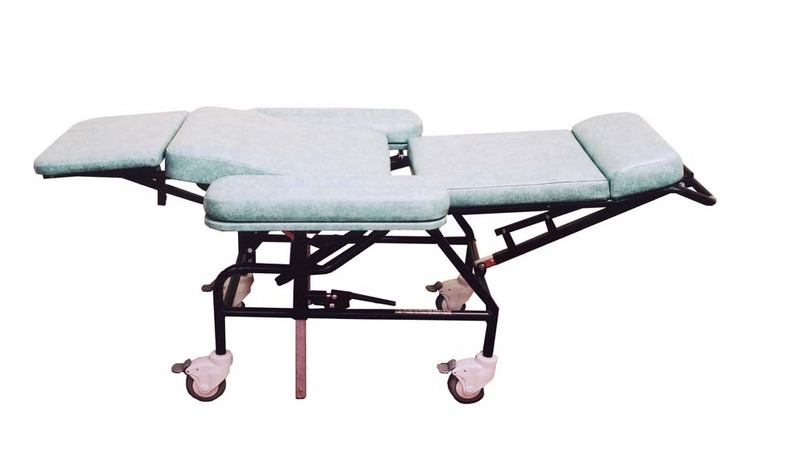 The manoeuvrability of the chair is useful for transporting patients in to the recovery room, without the need to transfer to a wheelchair, thus reducing risks associated with patient handling. 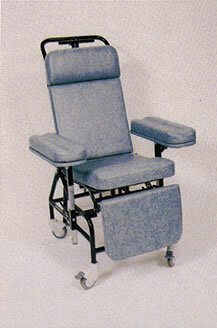 The large upholstred armrests are adjustable for height and angle, and easily replaced. 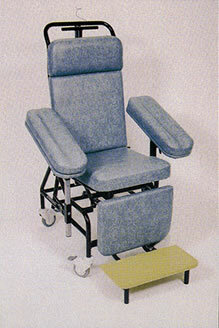 A removable step is also provided for the patient’s convenience. 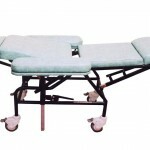 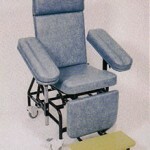 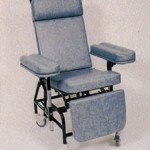 The phlebotomy treatment chair is available in any colour from the Just Colour range of Chieftain flame retardant vinyl fabrics.